According to various sources, Curtis Granderson had dinner in Manhattan with Mets executives on Sunday night, and ate salmon. At this point, there is nothing else to report. 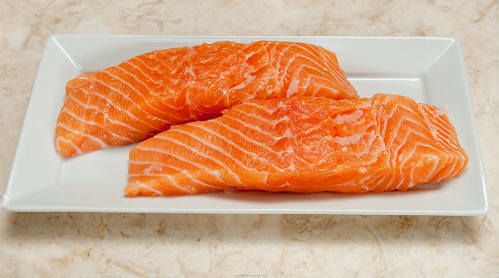 However, in a miraculous coincidence, I ALSO ATE SALMON JUST LAST NIGHT. Holy crap! What does it all mean? Luckily, salmon tend to live in the river, rather than the (Jason) Bay. What did you have to eat last night? Or on Sunday, for that matter? I don’t remember this much activity, this early in the winter. Maybe it’s my old age, or maybe it had something to do with the late arrival of Thanksgiving / early arrival of Chanukah. In any case, there have been so many deals happening these past few days, it’s hard to keep up. Though, there hasn’t been much activity by the New York Mets. Still, we should quickly review what’s been happening outside of Flushing. For those of you who shed the dreams of sugarplum fairies surrounding Jacoby Ellsbury, and moved instead toward visions of Dexter Fowler in Flushing, well, strike that thought from your brain, as well. If you haven’t already heard, former Red Sox catcher Jarrod Saltalamacchia has signed a 3-year, $21M deal with Mets NL East Rival Miami Marlins, and, in turn, the Bosox replaced him by signing A.J. Pierzynski to a one-year deal. If you were dreaming of sugarplum fairies and a Flushing outfield grazed by Jacoby Ellsbury, you at least still have the fairies.